Our Educational Arts program is a fun, hands-on art curriculum designed to help our young citizens go global. Art is a natural way for children to express their feelings and ideas. Hands-on art projects, when paired with global awareness, can heighten children's interest in other cultures and facilitate their connection to the global community. CMH’s Educational Arts program, geared primarily for students ages 8-12, provides children with diverse opportunities for global awareness and expression. We begin by introducing students to a global issue such as poverty, climate change or natural disaster. Students discuss as a group how the issue can affect a family or a child of their own age. Students are then guided to create an art project that reflects their understanding of the issue utilizing various mediums including photography, fine arts, textile or anime. 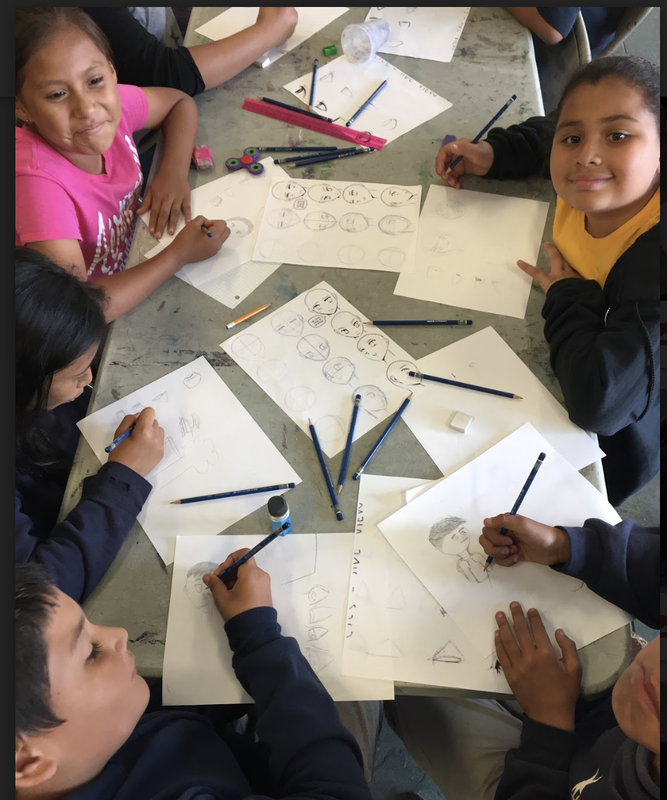 At the end of their session, students share their artwork and their newfound understanding of the interconnectedness of people and the world. They realize that no matter who we are, where we live or what we look like, we are connected as human beings and that empathy is what enables us to share our common hopes and dreams. Students learn the basics of digital photography within the context of photojournalism and the role it plays in global awareness and social activism. They are given class cameras to use in exploring their community and documenting the way they see the world. Intertwined with introduction of Empathy and Global Citizenry in each workshop session. Students learn about the importance of textiles around the world while also learning about Global Citizenship- both from the standpoint of being informed about world events, and also from the perspective of acting with empathy. Each textile lesson includes interactive games, activities, and hands-on textile art projects that link to key cultural concepts and culminate in a community exhibit. Throughout the ten-week course, students will learn about and participate in Haitian traditions of "naïve" painting, sequin art, paper maché masks and recycled toys. The Fine Arts program will place a special emphasis on creative outreach to Haitian youth and discuss information about Haiti's population, social structure, culture, economy, environment, and post-earthquake challenges. Students will learn the basics of Cartooning, more specifically in the context of Japanese manga. Japanese life and culture will be intertwined with introduction of Empathy and Global Citizenry in each workshop session. Students will ultimately create a manga-style Self Portrait to display in the class culminating Global Arts exhibit.